We will begin a study through the book of Ephesians on July 3, 2018. This bible study will be every Tuesday until September 25, 2018. We will meet at 6:30p.m. at 574 Rider Ct, Claremont, CA 91711. 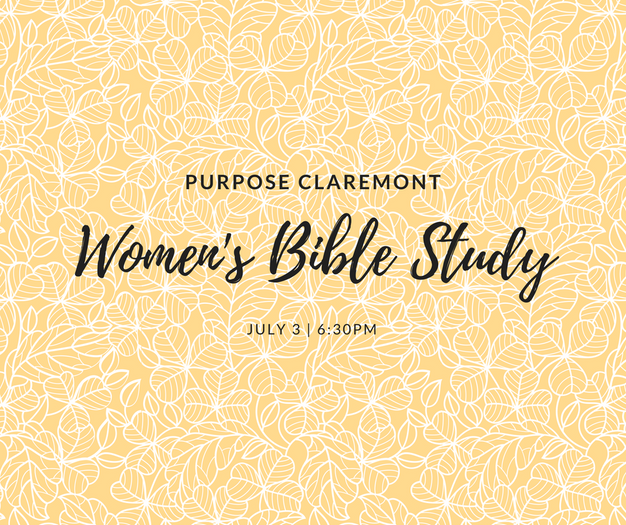 Please contact Cheryl Parra (909) 706-2953 or purposewomen@purposechurch.com for more information.